The Armflex E is equipped with all the necessary and desirable ergonomic and technical adjustment possibilities. When the Armflex E model was designed, it took great pains to make sure that all of the functions were logical and uncomplicated. The main focus was placed on user friendliness. For example, height can be adjusted in one rapid operation. Friction joints enable the position of the Armflex E to be varied almost limitlessly, which encourages drivers to really use this feature. Armflex E has many areas of application, but is particularly suitable for large forklift trucks, construction and forest equipment. For further information, please contact Darby Manufacturing Ltd. 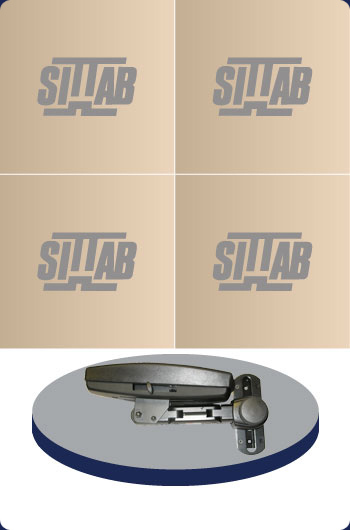 The armrest pad is designed to provide lateral support and length wise curvature thus ensuring optimal freedom of movement to operate control, levers, etc.